I’ll get into all of that shortly. Let me start by saying, I’m impressed anyone at all is still visiting my blog considering that I’ve left it silent for four years. There are a few reasons why I left this blog behind: mainly it started in grad school and I got bored and busy after graduation. Secondly, I started working in museums and didn’t know how to reconcile some of my professional thoughts about the institutions I worked at. Basically, I was scared of getting in trouble for some of my more critical views of places I was employed. Last but not least, good ol’ impostor syndrome. “Hey, look at all these museum blogs! I haven’t been to that conference before. I don’t have anything to say that someone hasn’t already. I don’t know who they’re referencing. Am I supposed to know this person?” Yea. Well, I’ve come up with new topics that excite me and have given up any attempts to be what I think I should be on here. Hopefully, some of what is to come is of interest to those who are not history and museum nerds as well. On this note, let’s get it started — again. I love Renaissance fair (ren faire — if you wanna be legit). You may not even know what a Renaissance fair is. I only vaguely had an idea what they were until a few years ago when a fellow history nerd friend initiated me. Let me set the scene: you drive out to some rural area in the summer, park out in a sea of cars, and somehow emerge from you vehicle to some vague moment in English history which is both medieval and Renaissance. If you know any of your European history, you already know this isn’t the same time period. I glaze past this and any anachronisms I come past (I’m not always this kind). Hey, there is Queen Elizabeth I and her court (Elizabeth’s sidepiece – Robert Dudley doesn’t look too shabby either with his shaped mustache and single pearl drop earring)! It’s a place where you can eat a pickle on a stick, watch a joust, and dress up in your early Italian Renaissance inspired gown (which you forced your mother to sew per your detailed design) made of completely historically incorrect polyester blend fabric. It’s historic reenactment lite. I mean, even some public historians side-eye legitimate historical reenactments because how does one correctly recreate the past anyway? But hey, I’m a twenty something year old Black woman, who happens to be a public historian/museum professional, who likes Renaissance fairs. Huzzah! Confession: I haven’t (completely) read a history or museology book in at least two years. I know it can’t just be me. Other people experienced after graduation reading burnout, right? After the sometimes tedious reads of academia you just can’t be bothered with voluntary reading. You’ve been trained to read on a deadline because of an assignment. I started thinking about how I’d like to read about the people who made up the Harlem Renaissance or about the reality of the “Wild West” considering I grew up enjoying westerns and had even gone to Deadwood and other places out West as kid. Nope. I think Ida B. Wells is one of the most boss women in American history. Have I finished Sword Among Lions which is an epic biography about Wells that I’ve owned for nearly two years? Still nope. In general, I’ve been forcing myself to read more the past few months and don’t fear; there is good news. I’m currently reading Art of Relevance by museum superstar Nina Simon (not to be confused with the also amazing person Nina Simone). In fact, the next post you will see from me will most likely be a review of that book because it’s really spot on. @GetMuseumJobs is a Twitter account that has a running feed of public history related jobs. As a soon to be graduate you could see why this could be of use to my peers and I. Each of the tweets feature a job opening located somewhere in the US along with a link to website where you can apply. This Twitter account was organized to encourage dialogue between museum professionals on Twitter. It is a helpful part of public history on Twitter because sometimes it can be difficult to find public history related conversations simply through hashtags. Plus, periodically you can find engaging questions related to the field or people live tweeting (tweeting during an event about the event) conferences and lectures. It encourages museum visitors to also tweet about their experiences so it’s it own form of the museum participation. If you’re wondering @ITweetMuseums is not affiliated with any specific museum or other institution. Nina Simon (not the soulful singer) is well known to public historians for contributions to museum studies. She is exhibit designer, museum consultant, self-confessed “rabble-rouser for community-driven museums”, and she has her own blog. Her Twitter account can be helpful for finding out about appearances she is making or her new posts on her blog Museum 2.0. She is all about the “participatory museum” which is something many museums need today. Yes, “drinking”. “Drinking About Museums” was conceptualized when a group of public historians felt the desire to continue the informal conversations they had about their field. The hashtag is used by various people on Twitter to promote the local gatherings. The hashtag is also related to a Google+ account that provides information about the informal gatherings that include alcohol, if that’s what you’re into. Of course, you should check out my Twitter page. I watched the Indiana Jones films a number of times as a kid (teen and young adult) and honestly I can say they were partially responsible for my love affair with history. Watching the movies also led me to try out deciphering hieroglyphics (at the ripe age of 10 or 11) and to attempt grabbing a hat from under a closing garage door — but I digress. Thank you George Lucas, Steven Spielberg, and Harrison Ford. For those who don’t know, the character Indiana Jones is an archaeologist and professor who also does fieldwork, like any archaeologist or anthropologist, but he doesn’t uncover any old artifacts. No. Jones escapes the lecture halls and dusty libraries to recover the…. oh I don’t know — THE HOLY GRAIL! Meanwhile he destroys the Nazis and recovers artifacts while proclaiming “This belongs in a museum!” Could that statement have been my first indoctrination lesson in public history/museum studies? Perhaps. Presented here are some photos from the glamorous office space museum professionals (curators, anthropologists, exhibit designers, etc.) occupy at the Field Museum. Come with me into world that smells like a hundred year old books and a teeny bit like your 8th grade biology class. 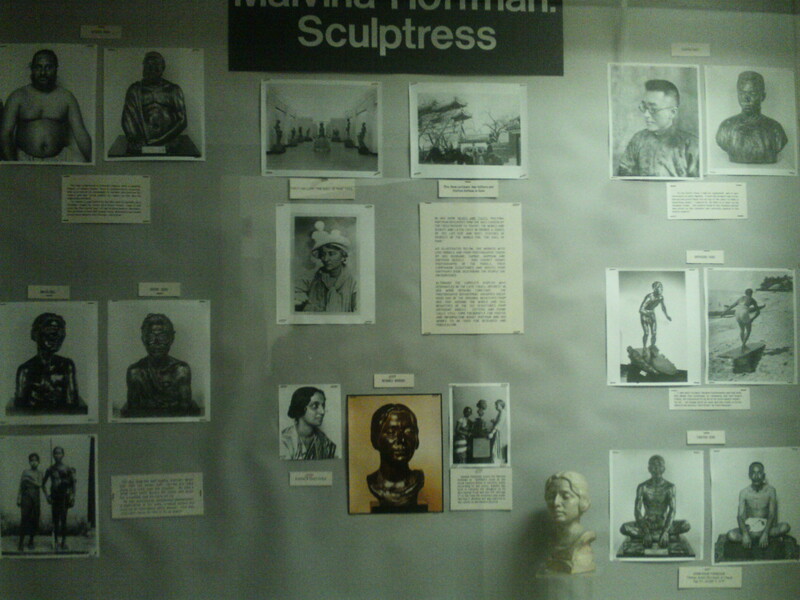 A display case with information about Malvina Hoffman, famous sculptress who recorded, in bronze sculpture, people from around the world. 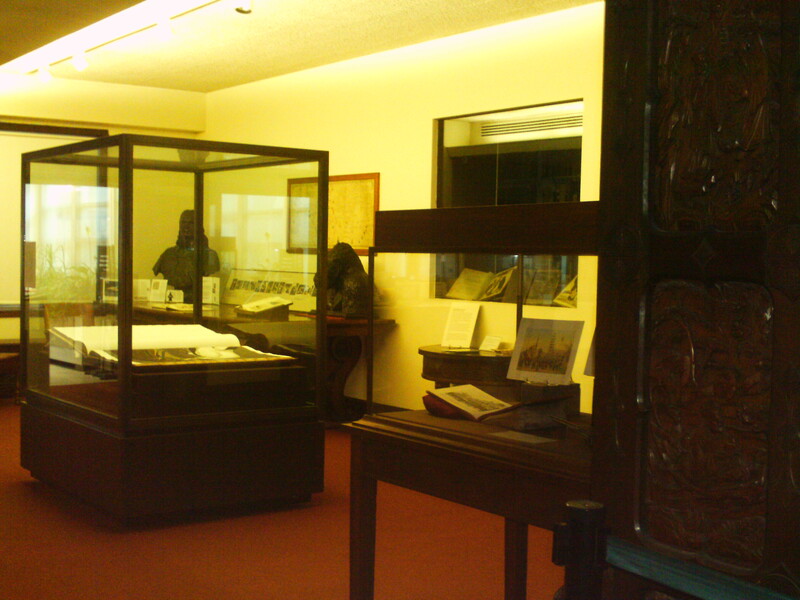 Many of the sculptures in the museum and were created in 1930. 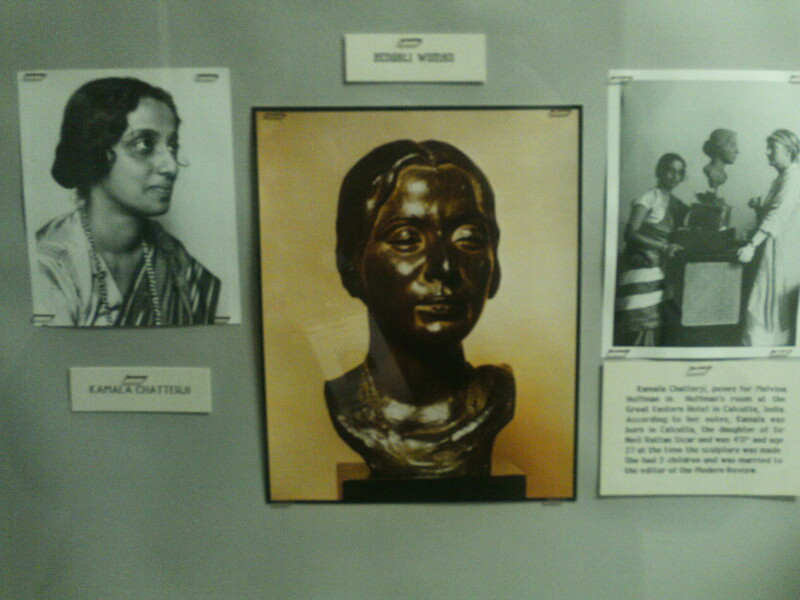 Close up picture of sculpture of a woman from India next to the real woman who modeled for the bust. Comparing pictures of the real people with their busts raises questions about anthropological and cultural attitudes of the time. 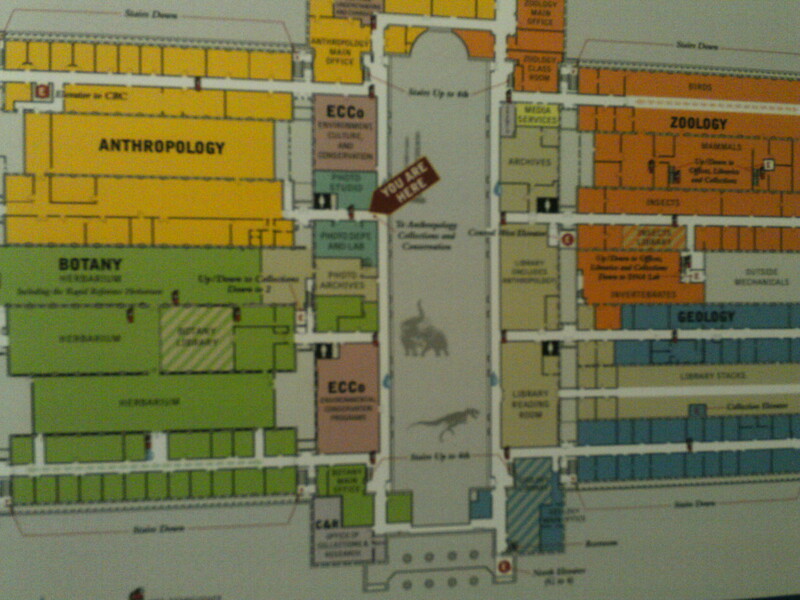 Map to get around the massive 3rd floor which I used to get lost in. 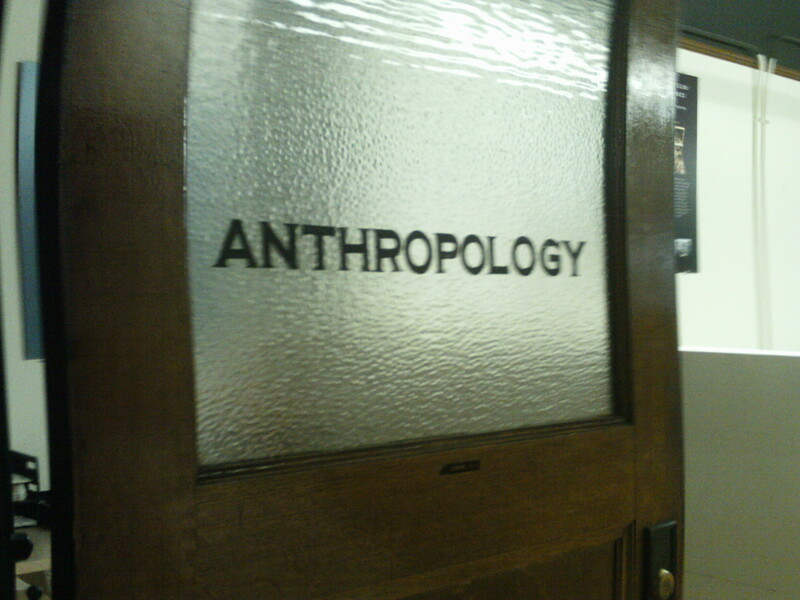 Doorway to a small section of the anthropology department. 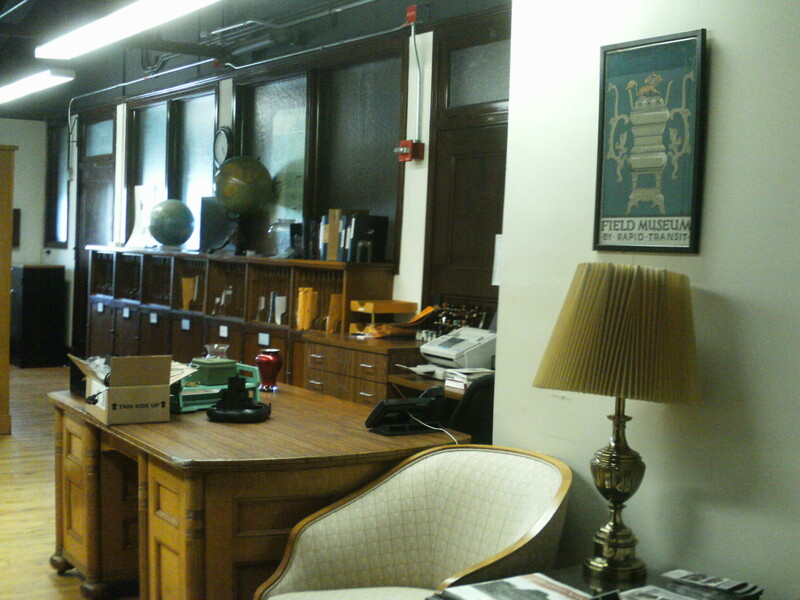 This is as close as it gets to anything I imagine a 1930s museum office looked like. Indiana Jones could have worked here, right (without the fax of course)? 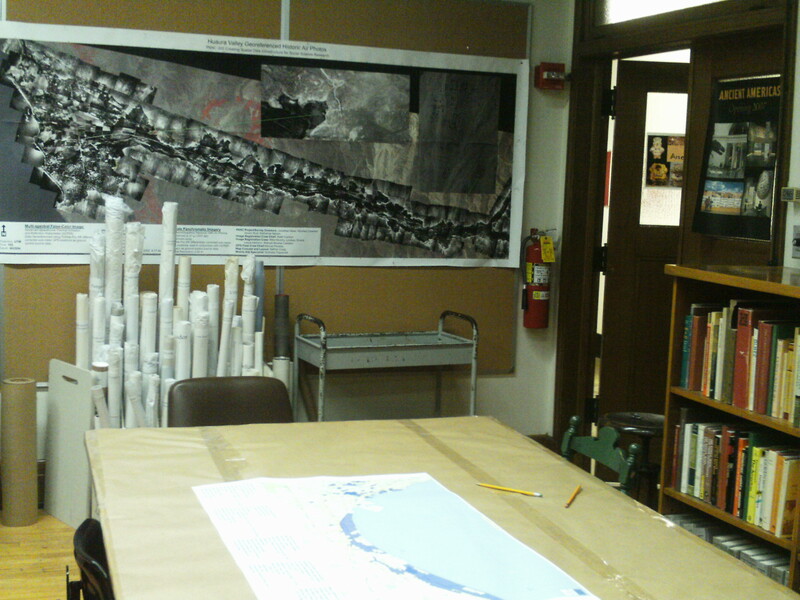 The Ancient Americas lab also known as my workspace. 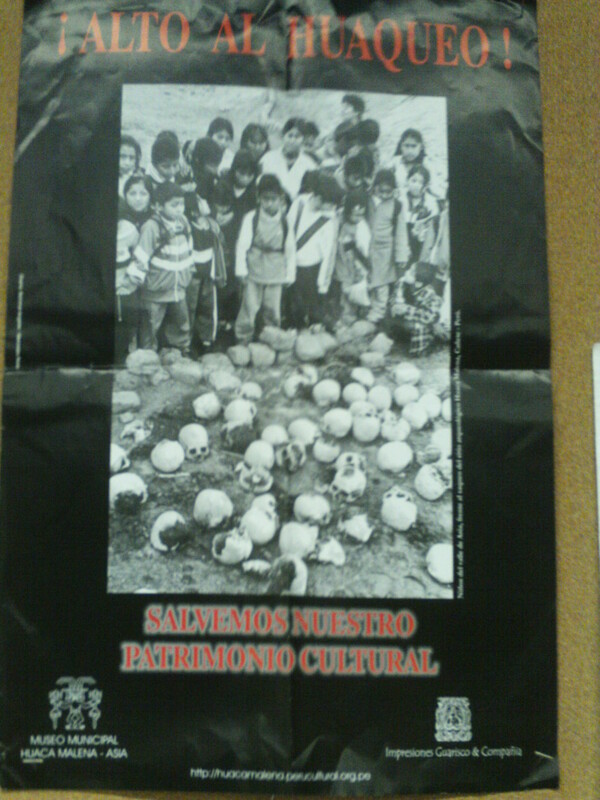 On the wall a map of an area in Peru and on the table a map of the Calumet Region. 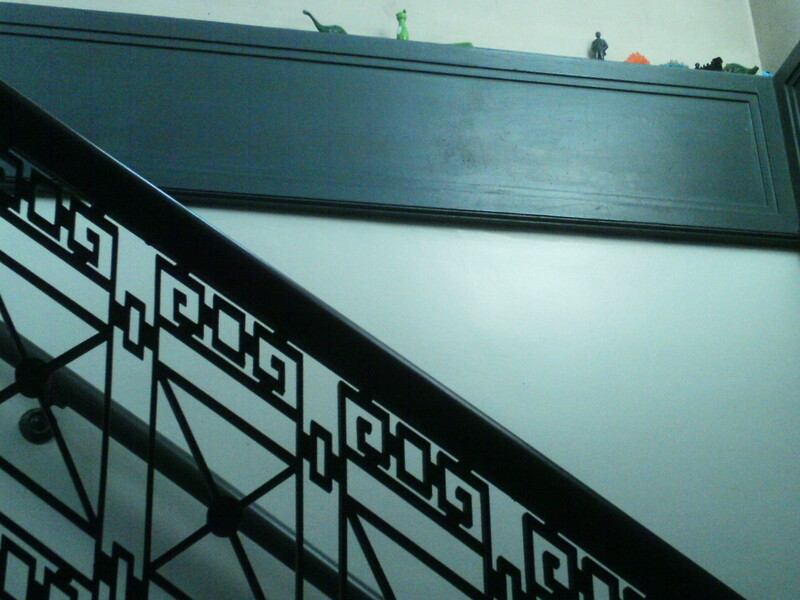 Stairway to the mysterious fourth floor, Exhibitions. 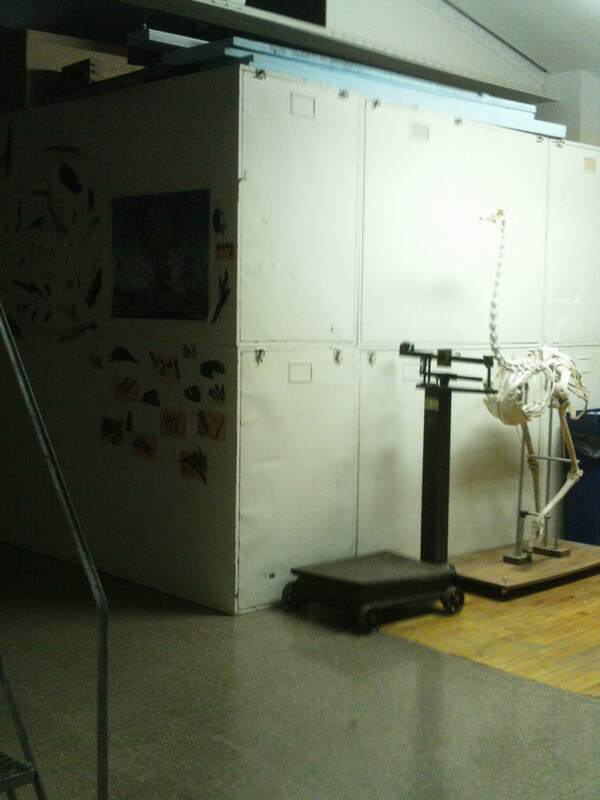 Look to the top right for some curation of dinosaurs. 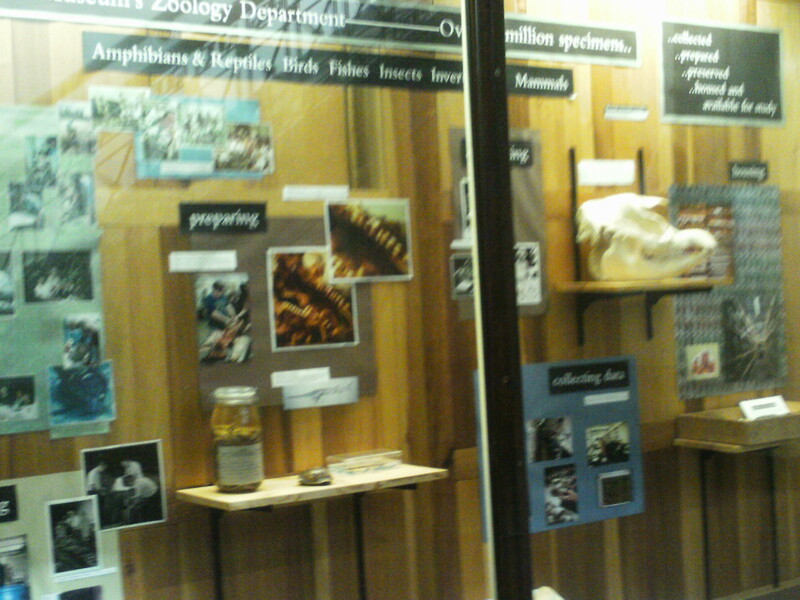 A zoological exhibit near my workspace. 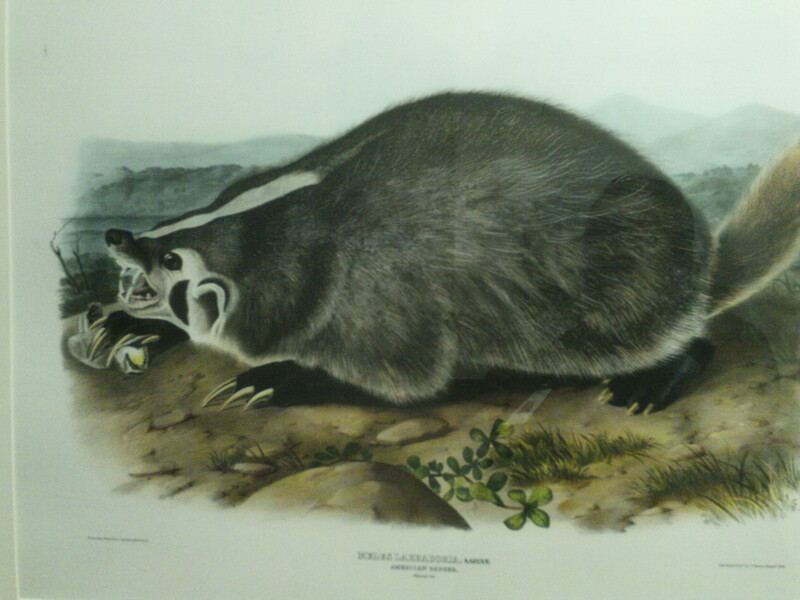 A scientific drawing of a very angry badger by one the women’s bathrooms. What I call the “bird library” which is much like what it sounds. ; numerous archives of preserved dead birds. Mmm the smell of formaldehyde in the morning. 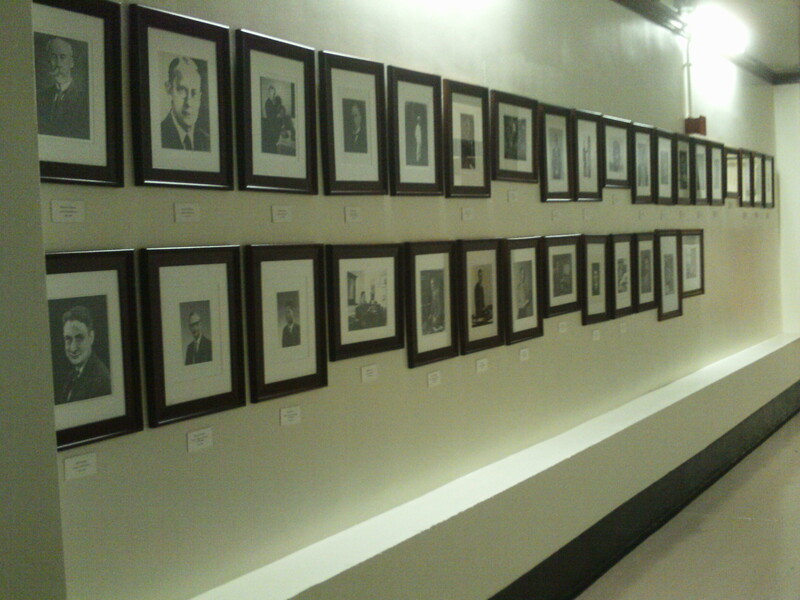 A wall of anthropology curators from the beginning of the Field Museum to the current one. The is one woman in there. 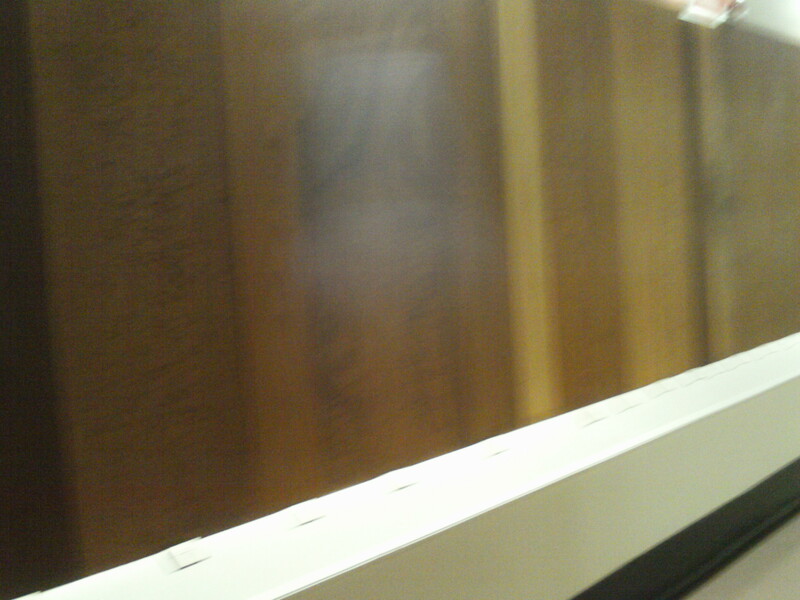 What is known as “wall of wood” which is a hallway lined with samples of wood from around the world with labels. Part of the in-house library. 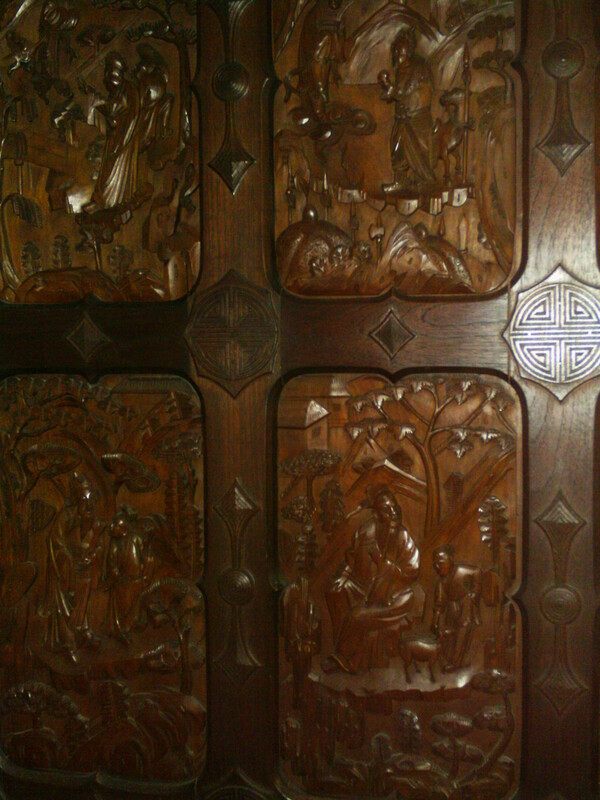 Beautiful woodcarving from Asia in the library entrance way. 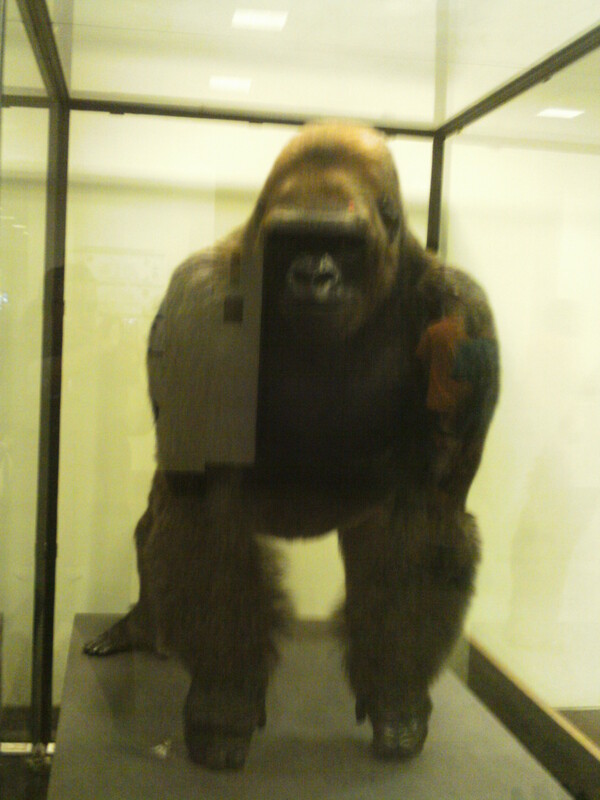 And this is Bushman, the guy I get to see everyday when I get on or of the elevator.